Is your team having issues working collaboratively? Our team had information scattered everywhere— Evernote, Microsoft Word, Google Drive, Notes, etc! We were wasting so much time finding and relaying data to other teammates, it really slowed down momentum. It was unorganized. It was clunky. It was unsustainable. There had to be a more cohesive way to work collaboratively. We used this free software to organize our entire M2DMM process and for all of the varying projects in which we are invested. 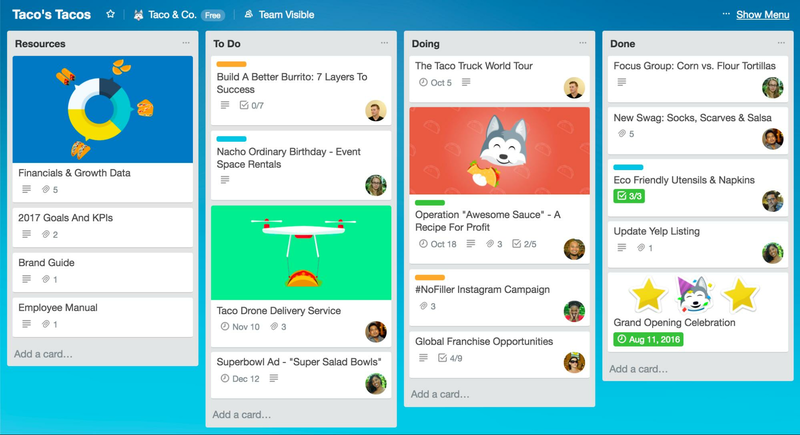 Do you want Trello training? Kingdom.Training has created a Trello Board template to help teams implement their M2DMM strategy plan. If you finish the M2DMM Strategy Development course and submit your plan, your implementation coach will be happy to teach you and your team how to use it. If you have already started implementing your M2DMM strategy but didn’t submit your strategy plan to us, feel free to email admin@kingdom.training to inquire about this training. 0 responses on "Trello: A collaboration tool"